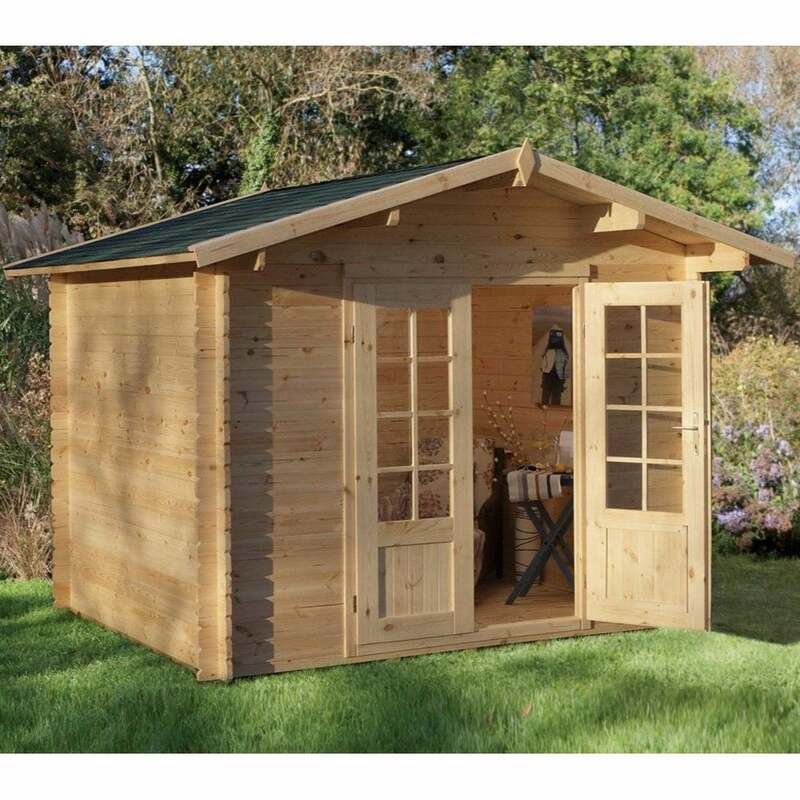 Forest Garden Bradnor Log Cabin 3.0m x 2.5m: The Forest Garden Bradnor Log Cabin is a compact and attractive outdoor building, perfect for using as a garden office or relaxing sanctuary. The 3.0m x 2.5m Log Cabin features 19mm tongue and groove boards for the roof and floor gives additional stability and strength to the building and the cladding is made using 28mm machined logs for a robust build. The Bradnor Cabin features single glazed double doors to allow plenty of natural light and air flow in the interior and can be secured with the mortise locking system for added security. The Forest Garden Log Cabin also includes attractive roof shingles in a green/grey fleck rectangular design for a watertight result.